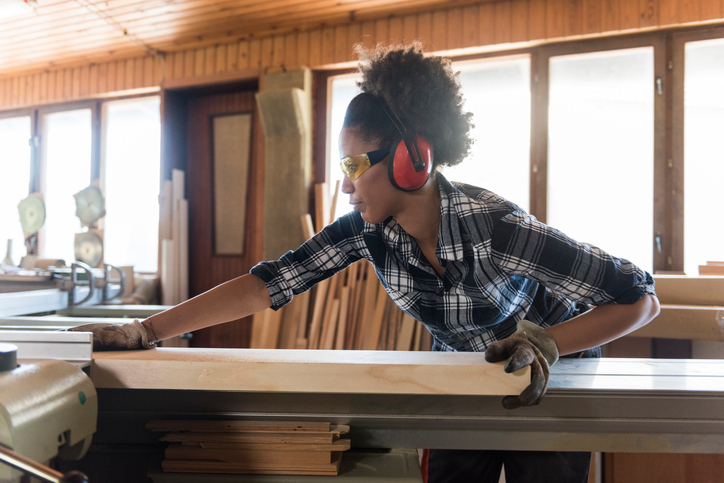 (Family Features)–When it's time to take on a new project, both DIY-inclined homeowners and contractors alike must consider many components to successfully complete the task, from design plans and materials to the proper tools needed. For simple projects like installing new light fixtures as well as more complicated projects such as refurbishing an outdated bathroom, power tools can be helpful throughout the process. – Lithium-ion batteries pack more energy than prior technologies, which means they can do more work, but there's also greater potential for damage when misused. – Batteries are not interchangeable, so it's important to only use batteries and chargers from the original power tool manufacturer. – Original manufacturer batteries are engineered to communicate and work with specific tools and chargers. These components, as a system, also go through a rigorous certification and testing process – a requirement that doesn't typically apply to third-party batteries. – Substandard aftermarket and counterfeit batteries may come with additional hazards that result in fire, property damage or personal injury. – If a battery is damaged, do not use it. – Never immerse your tool, battery pack or charger in fluid or allow a fluid to enter it, including corrosive or conductive fluids, such as seawater, certain industrial chemicals and bleach or products containing bleach. Fluid entry can increase the chances of short-circuiting, which comes with risks of overheating, fire or explosion that can lead to personal injury and property damage. – Always transport and store lithium-ion batteries as instructed in the owner's manual. – Avoid contact with metal objects, such as keys, coins, screws, nails and liquids. – When disposing a lithium-ion battery, take it to a local recycling center or place it in a receptacle designed for batteries. Throwing it away in the trash or municipal recycling can cause a fire hazard.